Cindy has over 25 years of experience in the dental field. 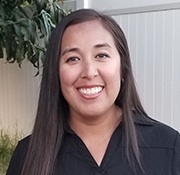 She started in the dental field as a registered dental assistant for 6 years then has transitioned to front office administration for the past 19 years. Cindy is committed to providing exceptional service to all patients and believes in exceeding patients expectations. Cindy is married to her high school sweetheart and has 2 children. 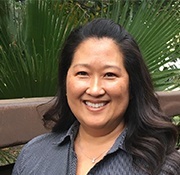 Outside of work, Cindy enjoys spending time with her family, going to the beach, paddle boarding, trying new recipes and binge watching Netflix. Claudia has over 14 years of dental experience. She received her RDA training from Pasadena City College. She was a back office assistant for 10 years before transitioning to the front office. She enjoys greeting patients when they arrive and makes sure they are comfortable from the moment they walk through the door. Claudia is married and a proud mother of two girls. Outside of work, she is a cheer coach. She enjoys watching her girls cheer and spending time with her family. Terry has been with our practice for over 17 years! She received her RDH training from Pasadena City College and has 39 years of dental experience overall. Terry loves our close-knit team of professionals and the dedication to excellence each team member exhibits. Her favorite aspect of her work is helping our patients achieve overall health through guidance and education about the importance of oral hygiene. Terry takes great pride in doing her absolute best for every patient that she sees. She is married and has two sons and five grandchildren. When she’s not at work, she enjoys gardening, watching sports, reading, and spending time with her grandchildren. 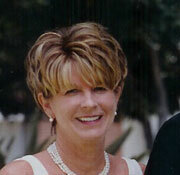 Deanna has been with our practice for 15 years. 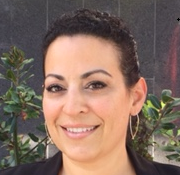 She attended the hygiene school at Pasadena City College, where she received her certification. Deanna loves working in an environment that promotes overall wellbeing through oral hygiene and education. She looks forward to getting to know our patients and helping them develop a lifelong oral health routine. She takes pride in her work and enjoys being surrounded by our team of likeminded individuals. She is also a people person and finds her gifts best used when she is working hard to make every patient happy and healthy. Deanna and her husband have two children. In her free time, she enjoys watching them play soccer and hockey. 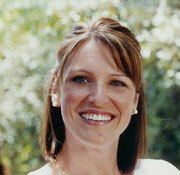 Angela received her training from Northwest College, and she has been in the dental field for over nine years. She finds working with a dentist who cares about patients on a personal level very rewarding; she also enjoys working beside our dedicated team as well. Angela assists Dr. Canzoneri in treatment planning and dental procedures. If you have any questions about your treatment, Angela is a great person to ask! Her expertise is far-reaching, and she is happy to educate patients. 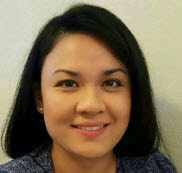 Outside of work, Angela loves outdoor activities, including bicycling, hiking, and going to the beach. Her favorite television show is I Love Lucy - she's a huge fan! She is married and has two children. KC joined the dental field about 4 years ago. She finished her RDA program at Citrus College. She enjoys interacting with patients and does her best to make each and every patient’s experience as comfortable as possible. KC loves that Dr. Canzoneri is utilizing new dental technologies into his practice and how they make the practice run so smoothly. In her free time, KC likes watching TV shows and trying new restaurants!